Founded in 1908, the University of the Philippines (UP) pioneers academic standards and strategic innovations in different disciplines; provides training in leadership and responsible citizenship; and serves as a graduate, research, regional, and global university. To fulfill its public service function, the university established the UP Padayon Public Service Office, which coordinates and mobilizes the resources of the University in order to respond promptly and efficiently to the demands and needs of the surrounding community. UP offers 258 undergraduate programs and 438 graduate programs to students from every region of the country. The university is organized into 7 constituent universities and one autonomous college in 17 campuses. What follows is a glimpse of the community engagement work carried out in each campus. UP Diliman: The flagship UP campus offers various programs and activities aimed at improving and enhancing the quality of education in other areas through teacher training and development. UP Manila: This campus is the country’s leading institution on health sciences, with a special focus on responding to the needs of marginalized sectors of society. Among UPM’s initiatives is UPM Ugnayan ng Pahinungod, a program that focuses on educational assistance, teachers development, community health, hospice care, environmental health education, disaster preparedness, and advocacy. Last year, the program mobilized 1,640 volunteers through health trainings, teacher development workshops, tutorial services, and medical and relief efforts to the communities affected by typhoons. Institute of Cooperatives and BioEnterprise Development (ICOPED): This program, housed in the College of Economics and Management, focuses on the development of cooperatives as viable economic and social business enterprises. UPLB Bee Program: A multidisciplinary research and extension program dedicated to promoting and integrating bee-related research. Barangay Integrated Development Program for the Nutrition Improvement of the Rural Poor (BIDANI): A community-based participatory development approach to help improve governance and food security in the rural villages of the Philippines. Farmer-Scientist Training Program (FSTP): A community-based program designed to liberate poor farmers from poverty and hunger through sustainable agricultural development. UPLB Ugnayan ng Pahinungod: Similar to its counterpart in the Manila campus, this program focuses on educational development in the community, particularly in topics such as affirmative action, reading enhancement, youth and women development, and environmental education. UP Visayas: This campus is the acknowledged authority in marine science, fisheries, and aquaculture. It coordinates voluntary work by fielding volunteer teachers to depressed communities through the Gurong Pahinungod program, which aims at upgrading the skills of fisher-folk and personnel, and enhancing teachers’ skills for the K-12 curriculum. UP Cebu: Formerly part of the UP Visayas structure, this campus utilizes and Office of Continuing Education and Pahinungod (OCEP) to administrate community outreach programs such as teachers’ training. They hold seminars for public school teachers such as curriculum preparation and disaster awareness and management. UP Baguio: This is the leading institution in math, sciences, and the humanities in the Northern Philippines. Through the Cordilleras Studies Center, it focuses on the preservation of the culture of the Cordilleras, Cagayan Valley and Northern Luzon. Through the Knowledge and Training Resource Center (KTRC), it conducts trainings and capacity-building workshops in climate change adaptation and disaster risk reduction. UP Baguio also has a Program for Indigenous Cultures, which takes the lead in discussion and promotion of indigenous peoples issues and concerns within UP and the larger community. 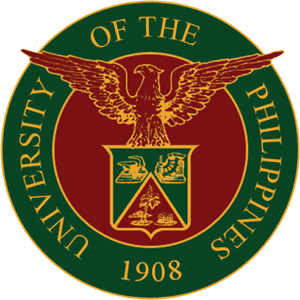 UP Mindanao: This campus, based in the Southern Philippines, extends its public service through the Office of Extension and Community Service. It serves the communities in Mindanao through training programs, community outreach, and implementation of the National Service Training Program. Virtual UP Open University: This is the university’s pioneer system for distance learning. It regularly conducts activities such as mental health workshops, assistance to children with special needs, health research, entrepreneurship, organic agriculture, climate risks, and e-service management.